Kirsten Madsen began playing cello at a young age using the Suzuki Method. As a student she won many competitions and honors. She went on to study under cellist Wolfgang Laufer and was chosen to perform in master classes for renowned cellists such as Truls Mørk and Sharon Robinson. In 1995 she became assistant teacher and taught her first cello students. In 1997 she completed a one year teaching apprenticeship at the Georgia Academy of Music with Dr. Beth Cantrell. She maintained a private studio as well as teaching both cello and Musical Beginnings at the Georgia Academy of Music until 2000. In addition to teaching she performed regularly with a string quartet, and was assistant principal of the Dekalb Symphony Orchestra. 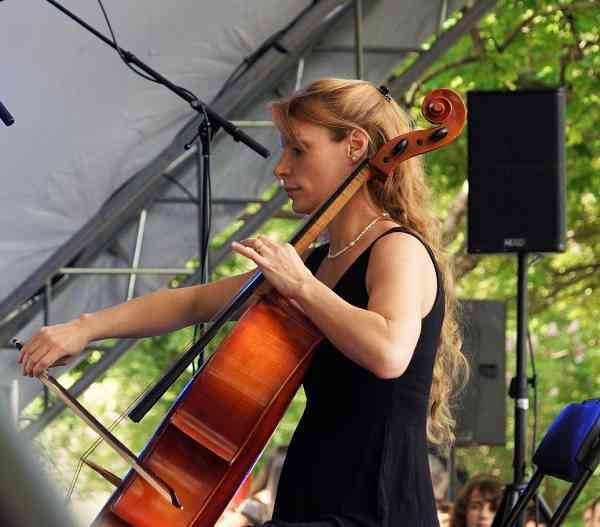 Kirsten is a certified SAA cello teacher and has completed the training for levels 1-8 as well as group classes. In 2000 she moved to Montreal and married Suzuki violin teacher Eric Madsen. They enjoy a large combined private studio in Saint-Lambert. Kirsten is also the proud mother of eight young children.